Looking to do a little research between convention sessions? 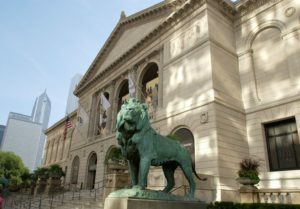 Take advantage of what Chicago has to offer and explore the Newberry Library. Follow our tips to make the most of your visit. MLA participants intending to conduct research at the Newberry are encouraged to register in advance for a free reader’s card and then visit the welcome center on the first floor when they arrive to obtain an official card. A photo ID and proof of current address is required. Registering in advance not only makes signing in easier, but also saves valuable research time. When you register online you have access to the complete online catalog and can place items that you would like to view into your queue. When you arrive at the Newberry, those items can be pulled for your use so that you don’t have to spend time that day determining what to look at. The Newberry is located at 60 West Walton Street and is easily accessible via the Red Line and Brown Line. There is a bus stop right outside the Newberry on Walton Street, with the #22 and #70 buses stopping at that location. If anyone is driving, the Newberry has an arrangement with a parking garage at 100 West Chestnut Street. Visitors can have their tickets validated for a discounted price. What goes into creating a museum about writers? How do you design an exhibit space and the individual exhibits? Who decides which writers are represented? How do you keep the content relevant, interesting, informative, and fun? If your audience includes everyone from professional writers and academics to elementary school children, how do you create a space that is inviting and engaging for both groups? What craziness ensued in the making of such a museum? Come to the American Writers Museum: An Evening Conversation on Friday, 4 January, 4:00–5:00 p.m., 180 North Michigan Avenue. 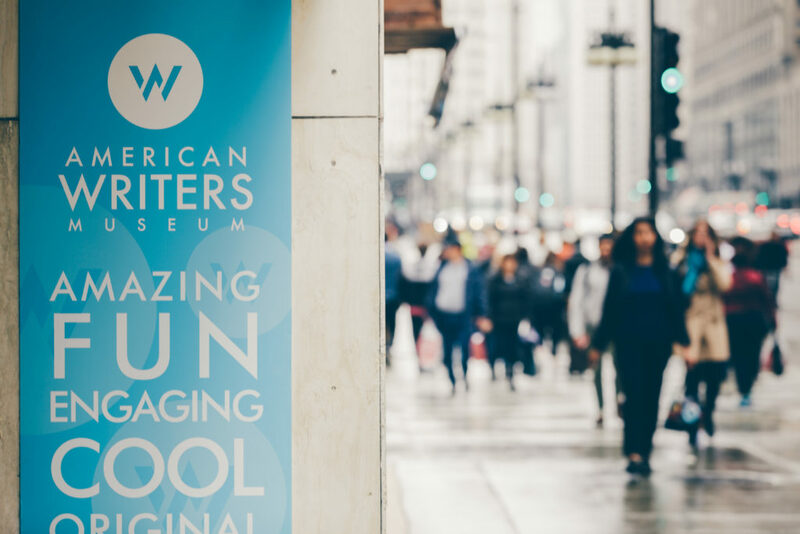 This special event was created just for the 2019 MLA convention, so please join us and learn from the experts who helped create the American Writers Museum. Carey Cranston, AWM president, will be joined by AWM Content Leadership team members Donna Seaman (Booklist) and Max Rudin (Library of America) and designer and curator Andy Anway (Amaze Design) for an entertaining and informative conversation about the history and making of the museum. Discover how the museum came to be, which creative writers and literary luminaries contributed to the project, what went into creating the exhibits, and much more. Engage in discussion about the various exhibits, the curating process, and the future of the museum. Light snacks and beverages will be provided. Space is limited and registration is required. This event immediately follows the AWM cultural excursion. If you have already registered for the excursion and wish to stay for the conversation, write to registration@mla.org. The MLA is returning to its roots! 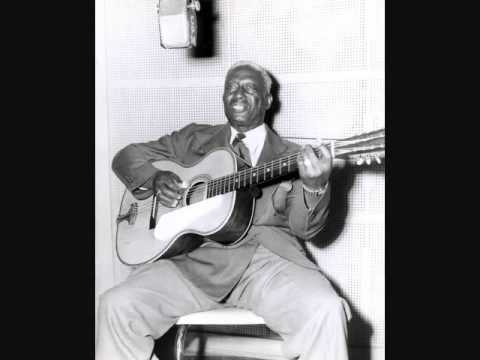 Over the years, Lead Belly, Bytown Troubadours, John Lomax, smokers, and others have provided musical enjoyment for MLA convention attendees. On Thursday, 3 January 2019, the internationally renowned jazz performer and educator Bob Lark will treat MLA convention goers to a thrilling evening of live music and entertainment at this year’s MLA Night Out. 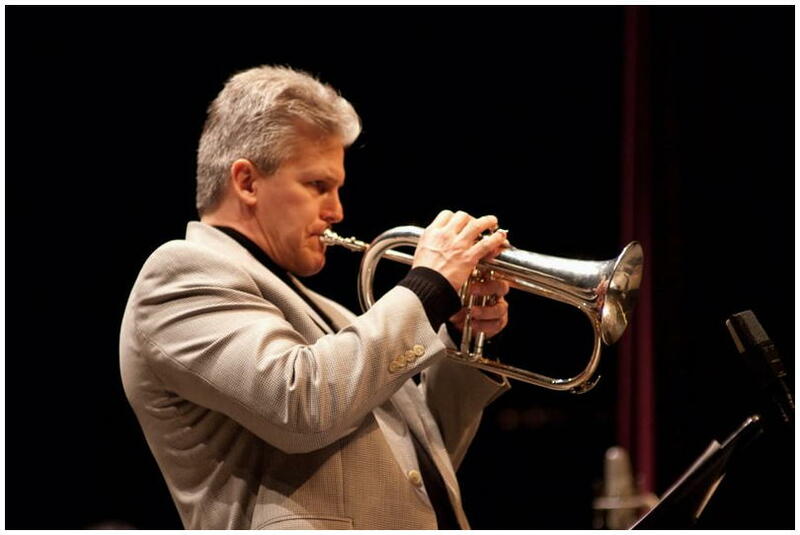 Following in the footsteps of jazz greats like Louis Armstrong, Benny Goodman, and Nat King Cole, Bob Lark is keeping alive the traditions of Chicago jazz and educating a whole new generation of jazz musicians. 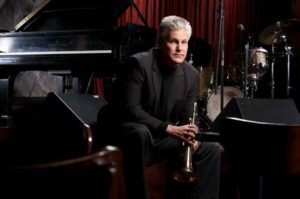 Professor of Jazz Studies at DePaul University, Lark teaches jazz trumpet, pedagogy, and jazz history and directs the university jazz ensemble. Known for his lyrical style and warm tone, Lark is a master trumpeter whose music—from hard bop to cool jazz—highlights life’s emotions. Lark and his ensemble have toured nationally and internationally, performing and recording with a who’s who in jazz, including Phil Woods, Clark Terry, Bob Brookmeyer, and Tom Harrell. The Bob Lark Ensemble comes out swinging! This is certainly an event you won’t want to miss. MLA Night Out will take place at the Fairmont Chicago’s famous Rouge Showroom. Located on the hotel’s lobby level, the Rouge is a sophisticated and elegant venue. This former supper club is the perfect space to relax and enjoy drinks, friends, and music. It may be cold outside, but it will be hot at the Rouge. Get your ticket today! Have you blocked time in your convention schedule to visit the exhibit hall? Visit nearly one hundred booths of publishers and companies who are there to show you the newest and best products for scholarly and personal use. 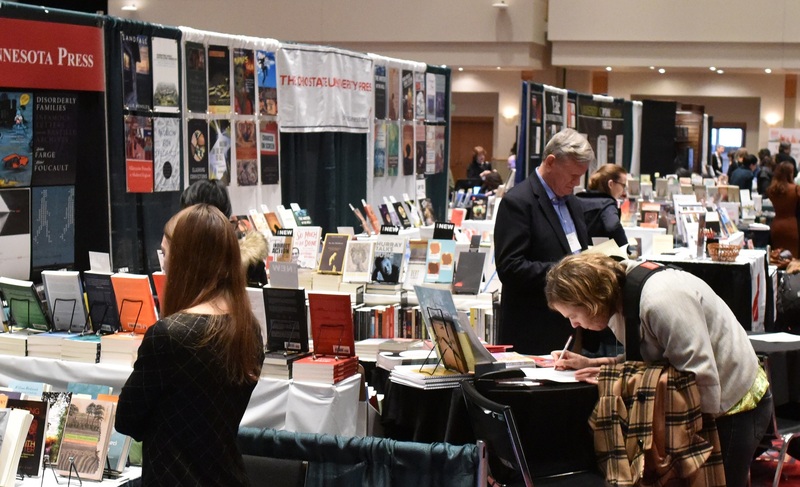 Be sure to visit booth 214 in the university press block and say hello to the staff and editors of Wayne State University Press (WSUP). Are you interested in fairy tales? Check out their Series in Fairy Tale Studies as well as their newest titles in fiction, poetry, and Jewish studies. 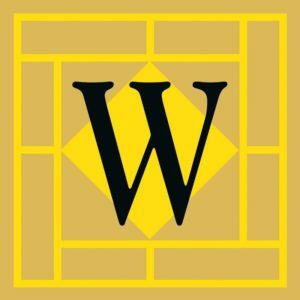 WSUP supports humanities academics by publishing nine journals in the humanities, with titles covering literature, film studies, fairy-tale studies, folklore, and more. These journals provide outlets for innovative research in their subjects and platforms for scholars at all stages of their academic careers. Navigating the exhibit hall can be overwhelming, with so much to see and absorb. WSUP has the following tips for making the most of your visit to the hall: Don’t try to see it all at once. Take a few breaks during the convention to wander through the exhibit hall. Look at the Program in advance and try to map out a plan, but also allow yourself the flexibility to change that plan as you go. This January, take a moment to explore what makes Chicago famous. 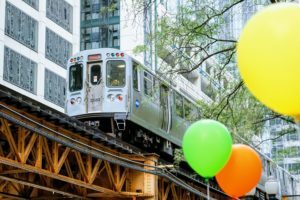 Whether you are a music and art lover, a wine aficionado, or looking to support a good cause, the MLA convention in Chicago has something for everyone. For the first time, the MLA is having an official Night Out. Set in the beautiful Rouge theater in the Fairmont Chicago Millennium Park Hotel, the Night Out is a moment to unwind, connect, and celebrate. Indulge in this private event with a live performance by Bob Lark, the celebrated jazz musician and educator. Enjoy a cocktail and conversation while Lark plays new songs and beloved classics. Tickets are selling fast, so get them at the early bird rate before 7 December. Enjoy a walk past the Bean and the ice skaters in Millennium Park to reach the Art Institute of Chicago. 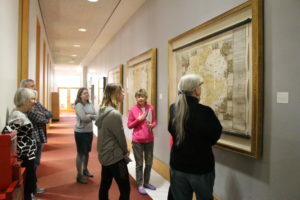 Join one of the Art Institute’s professional lecturers for a private tour designed to connect literary purpose with visual culture on our MLA excursion inspired by the 2019 MLA presidential theme, Textual Transactions. Discover artists who use a variety of mediums to explore text and language, both in art and as art. After the tour is over, stay a while and visit such masterpieces as American Gothic and Nighthawks, enjoy lunch in Terzo Piano or one of the museum cafés, or return later that evening with your ticket when the museum stays open until 8:00 p.m. Broaden your knowledge of viticulture and refresh your senses with a private wine tasting at the Chopping Block. Master sommelier Mary Ross is a globally recognized wine educator and the first American woman to be granted a Grand Award of Excellence from Wine Spectator. During this private wine tasting, you will enjoy a range of varietals from all over the world, paired with light refreshments to enhance the tasting experience. 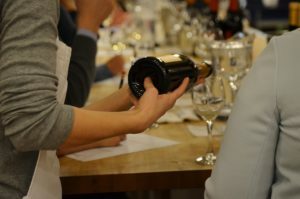 The tasting will take place at the Chopping Block’s location in the iconic Merchandise Mart. Started in 1997 by Shelley Young, the Chopping Block’s mission remains tied to the community with a philanthropy program that fights for food justice. Raise a glass and take a break from the convention to venture into new territory—or should we say terroir? Space is limited, so book this MLA excursion today. Feel like giving back? Join us at our third Benefit for the Humanities, where MLA Executive Director Paula Krebs will lead a conversation with Natasha Trethewey, Geoffrey R. Stone, and Rachel Davis Mersey. Pull up a chair and enjoy a stimulating discussion on the power of text in three forms: poetry, law, and journalism. Twice United States Poet Laureate, Trethewey uses sonnets and free verse to explore the past and present of her native state, Mississippi, and the broader United States. Stone is a constitutional law scholar specializing in the First Amendment and a member of the National Advisory Council for the American Civil Liberties Union. Mersey, an award-winning journalist and a professor at Northwestern University’s Medill School, focuses on audience understanding and how journalism can shape identity. Every ticket contributes to our Paving the Way campaign, which raises funds to help graduate students and adjunct faculty members, promotes workforce fairness, and supports national advocacy on behalf of the humanities. Top photo by Rye Jessen, Bob Lark photo by Andy Goodwin, Art Institute photo courtesy of the Art Institute of Chicago, wine tasting photo courtesy of The Chopping Block. Sweet home Chicago! 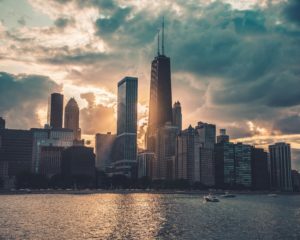 America’s third largest city, and one of the easiest cities to reach from across the United States, Chicago has something for everyone. 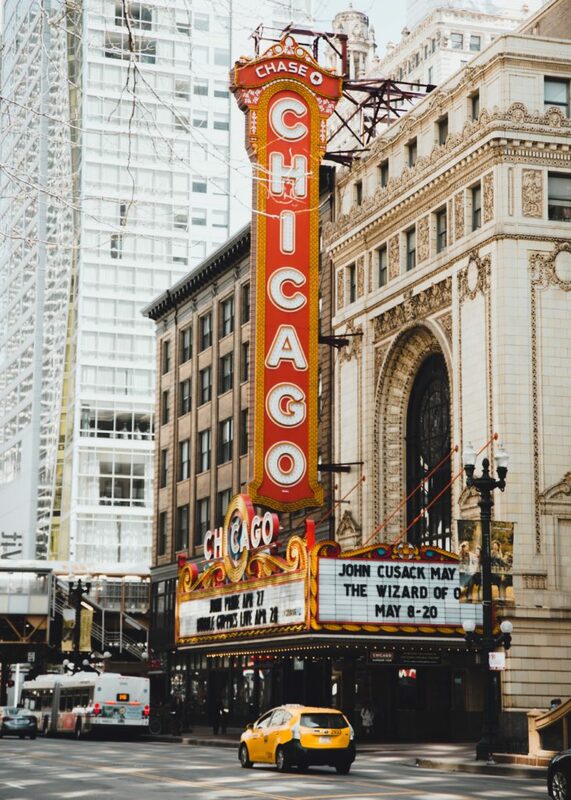 Incredible architecture; world-class museums; fabulous restaurants; and a wide array of languages, cultures, and neighborhoods combine to make Chicago a city you’ll take to right away. The convention itself has something for everyone too! There will be nearly 750 sessions on language, literature, writing, pedagogy, media studies, and much more. Many sessions will focus on professional development and provide you with the tools and information you need to achieve your career goals. Hundreds of sessions are part of the presidential theme, Textual Transactions, and we have special events such as the first Humanities in Five contest, the inaugural MLA Night Out, and the return of the Possible Futures Career Fair and the first Programs Showcase. Register today! The American Historical Association (AHA) will join us in the Windy City for its own annual meeting, and MLA members will be able to attend and enjoy the many AHA sessions. A number of sessions will be presented at both conventions, so you’ll have double the chances to attend! 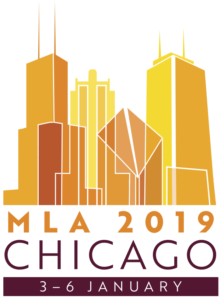 An online version of the convention program is available now—check this page and the MLA 2019 convention page for updates and more information to help you make the most of your convention. I look forward to seeing you in Chicago! Help MLA members (and others) stranded because of the weather discover your work! 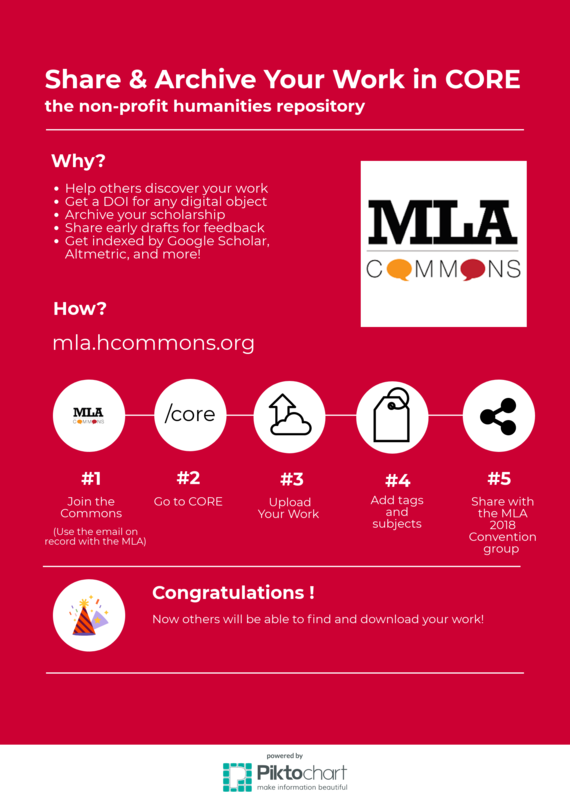 Upload presentations and conference papers to CORE, the open-access, nonprofit repository for humanities scholarship. 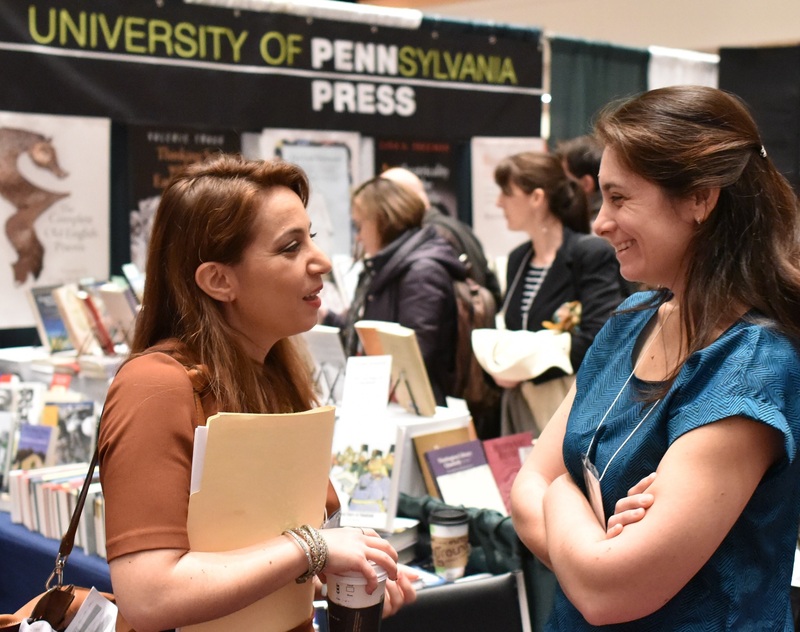 Check out the newest publications from one of the oldest university presses in the United States, University of Pennsylvania Press (Penn Press), in booth 121 in the exhibit hall (Rhinelander Gallery, second floor) at the 2018 MLA convention. What makes them so special? Read on. Penn Press is an integral part of the ecosystem of humanities scholarship. Our books and journals make valuable contributions to the study of history, literature, and more. We count humanities scholars not only among our authors but among our customers and readers, and we are thrilled to play a vital role in their careers and lives. 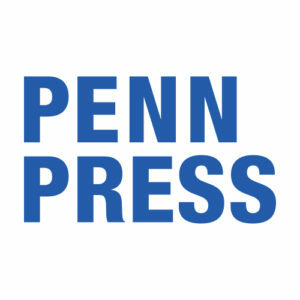 The Penn Press display will feature our latest literature titles, available for purchase at a 40% conference discount and free international and domestic shipping. Customers can also enter our book raffle by signing up for the Penn Press mailing list; raffle winners will be notified after the conference. MLA members may be pleased to discover the remarkable strength and breadth of our titles in literary studies, which span medieval and early modern literature, American literature, eighteenth- and nineteenth-century British literature, history of the book, and Jewish studies. We also publish numerous interdisciplinary works that touch on areas of study of interest to literary scholars, including books on intellectual and cultural history, the history of science, women’s studies, gender and sexuality studies, and area studies (e.g., African studies, Asian studies, Latin American and Caribbean studies, and Middle East studies). If you wish to schedule an appointment with Senior Humanities Editor Jerry Singerman at the convention, please write to him before the convention (singerma@upenn.edu) and include a brief description of your project. Stop by booth 321 in the MLA exhibit hall (Americas I, third floor) and say hello to Universitas Press, one of our newest exhibitors and probably the youngest press in the exhibit hall. Why should you get to know them? I’ll let them explain. Tell us about the press. We are a press born from our experience as lecturers and as parents. The changes we bring to book publishing stem from real time spent in the classroom and from what we have seen our children experience as students. Every title we publish goes through a series of stages at which it can be vetoed and has to answer favorably to strict criteria: Does it bring new understanding to how we view the world? Is it a valuable contribution to the field? Does it encourage learning? Is it accessible? Is it affordable? Is it beautiful? Our books stand out because we love them and everybody who uses them loves them. What can we expect at your MLA booth? We are featuring several titles that are setting new standards in book publishing and in the publishing of classroom material in particular. Our books are designed with both the instructor and the student in mind, from selection of material to book structure and price. For example, our anthology of Victorian poetry, My Own Land’s Sins, features the highest number of poets ever anthologized, of female poets ever anthologized, and of poems of the richest thematic variety. The poems are listed in chronological order, which gives readers a better understanding of the evolution of Victorian poetry. Everyone buying a book from us will get a free book. We will also tweet our specials one hour in advance so that our followers can come by booth 321 and get the books they want at the lowest possible price. For those interested in teaching one of our books, we have exquisite mini bookmarks that we will offer generously for their students. How can attendees connect with you? Our editor in chief, Cristina Artenie, will be at the convention. She will be happy to talk to anyone coming by our booth. Since it is a huge exhibit, though, please send either a Facebook message or an e-mail (editorchief@unversitaspress.com) in advance to set aside some time for a private talk. For more information about who we are and what we do, please check our Web site at www.universitaspress.com and follow us on Facebook at facebook.com/universitaspress/ and on Twitter at @UniversitasP. In the exhibit hall at the MLA convention, attendees have access to a wide range of publishers, from small independent journals to large international booksellers. 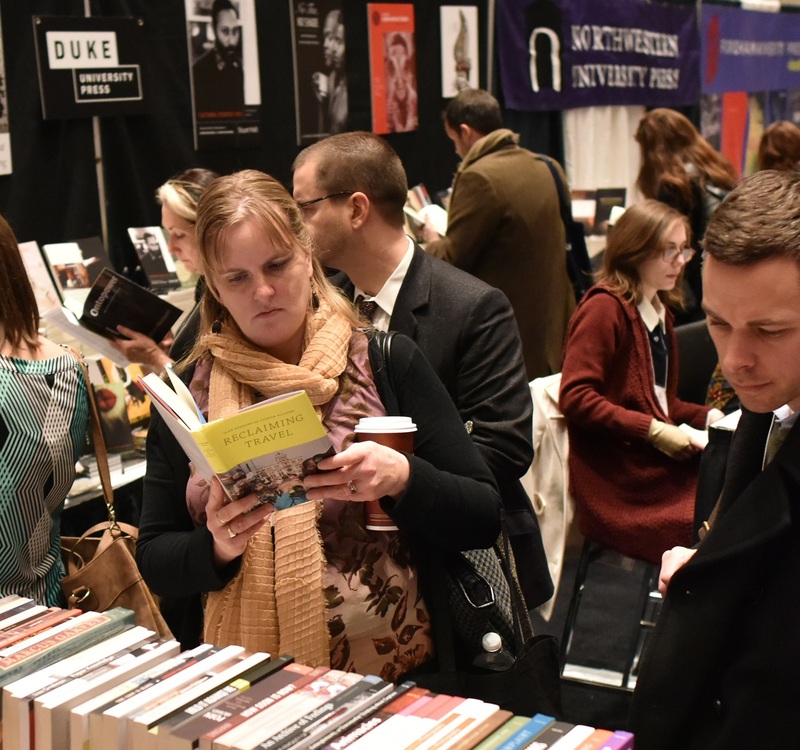 In honor of University Press Week (6–11 November 2017), we’d like to shine a light on those university presses that will be exhibiting at the 2018 MLA convention in New York City. 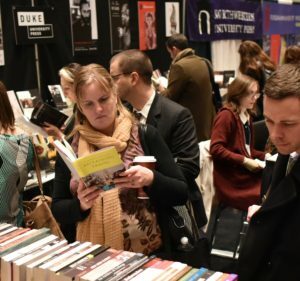 More than thirty university presses will exhibit at the 2018 convention. Some, like NYU Press and Columbia University Press, are a quick subway ride away. 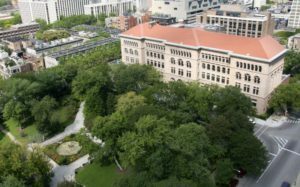 Others, like Stanford University Press and University of Nebraska Press, will be traveling from across the country, and some, like Edinburgh University Press and University of Toronto Press, will be traveling from outside the United States. Some seem to have been around forever, like Cambridge University Press, Oxford University Press, and Johns Hopkins University Press, while others, like University Press of Mississippi and SUNY Press, are relative newcomers. All these presses exhibit at the MLA convention to provide attendees with access to the most recent publications, often at a great discount. Be sure to visit the exhibit hall and browse among the wide variety of exhibitors. You may find your next favorite book to read or teach, or your next favorite subject to explore, while also catching up with friends and meeting editors. Located in two halls in the New York Hilton Midtown (Rhinelander Hall, second floor, and Americas I, third floor), the exhibit hall opens on the second day of the convention. The hours are 9:00 a.m.–6:00 p.m. on 5 and 6 January and 9:00 a.m.–1:00 p.m. on 7 January. 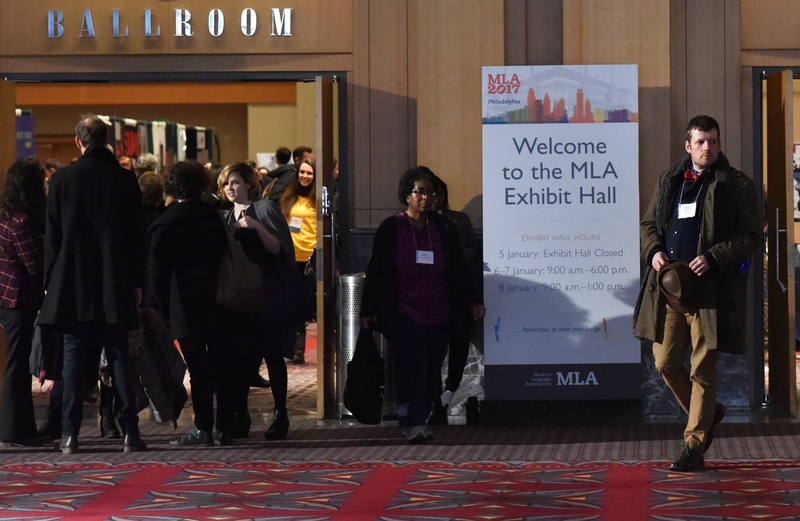 Find restaurant suggestions, room shares, and more in the MLA19 Convention Group!